Here’s a little twist on basic falafels which are great for dipping and sharing. Fried falafel samosas. Liven up a simple hummus with this recipe for roasted red pepper hummus version with salted bagel chips on the side. I will warn you now, that you’ll find it hard to stop dipping! 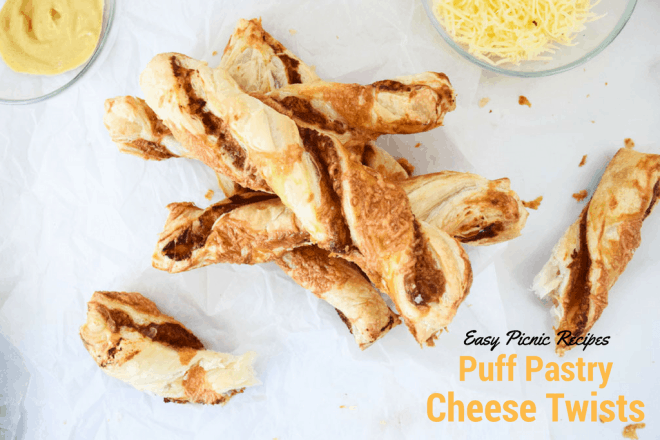 If you’re looking for a simple, tasty snack with few ingredients, try these easy Puff Pastry Cheese Twists. You’ll love them! Here is a really yummy recipe for you to try! Garlic Pizza Bread topped with mozzarella and caramelised onion chutney!